Maddie Grace is at an interesting age as far as toys go. She’s not a baby but she’s not a big kid. She’s at an in-between stage where her favorite toys involve balls, moving things in and out of containers, and ones she can push all around the house. 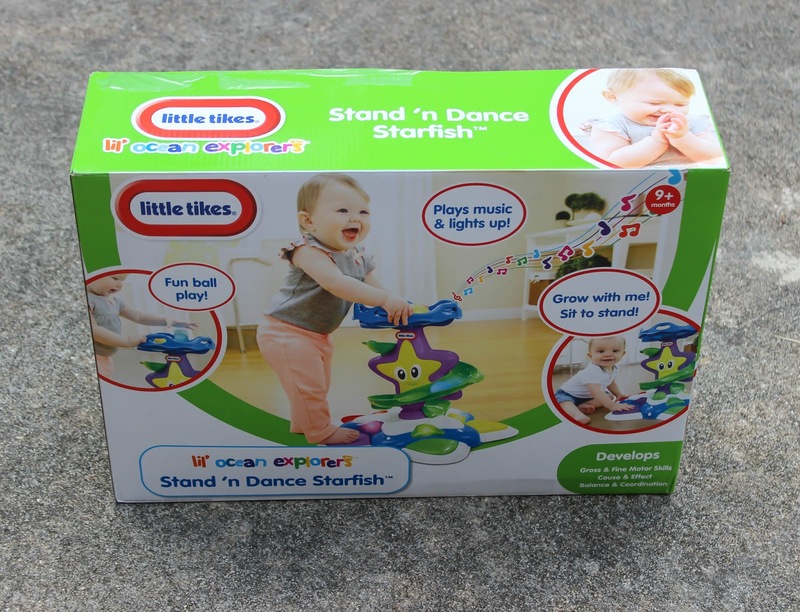 A new big hit in our house is the Little Tikes Lil’ Ocean Explorers Stand and Dance Starfish. I don’t know why dropping balls in the top of a toy and watching them roll to the bottom is fun for toddlers. Personally, it doesn’t keep me occupied for long, but Maddie Grace could do it all day long. Well, until she gets hungry. But on top of the ball rolling action, this toy has fun music and lights up, what else could an almost 17 month old want? The base of this toy has light up keys that can be played by little hands or little feet. I love how transitional this toy is. Maddie Grace is obsessed with it now, but I think she also would have been when she was 9 months old, and I think it’s a toy that she’s going to continue to love. And like the moccs above? Don’t forget there is still time to enter my Tailored Tots giveaway! 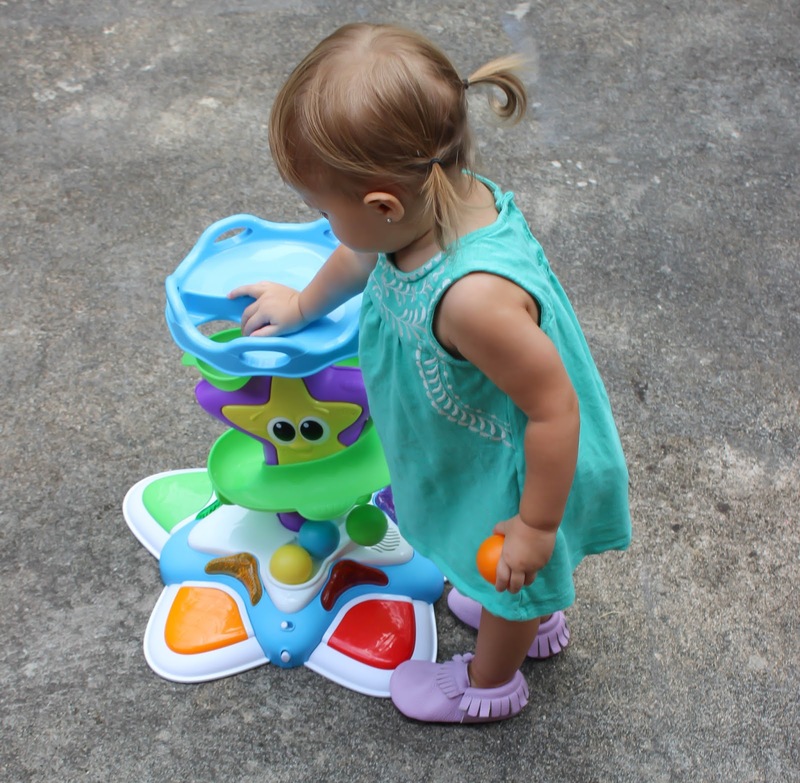 I’d love to give one of my mama friends a chance to win this great toy for their tot! To enter just use the form below, and good luck! My Hampton would LOVE this! I just entered your giveaway! 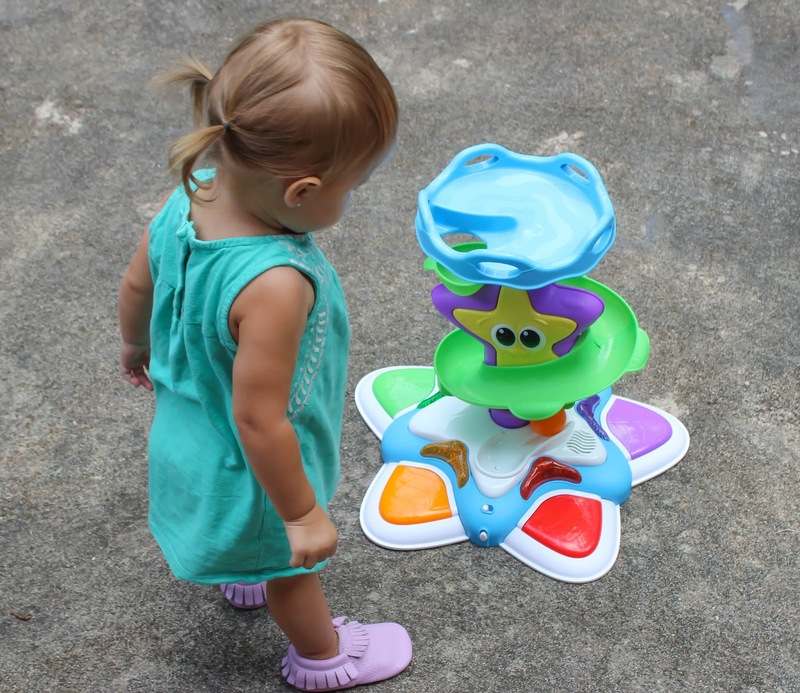 It is such a cute toy and would be fun to give my kids for Christmas this year! This looks like so much fun! My nephews and nieces would love it. They have birthdays coming up so I'll have to check these out. They love toys with music!